Have you ever visited Old Faithful in Wyoming’s Yellowstone National Park? Or maybe you’ve swam in a natural hot springs? Geysers and hot springs occur in areas where volcanic lava lies just beneath the surface. The lava heats up water that seeps into the Earth – sometimes to temperatures of 572 degrees Fahrenheit. The water bubbles back up as a hot spring or a geyser. Some hot springs are vividly colored orange, red or yellow. This coloring is caused by colonies of microbes called archaea that can survive intense heat. When water is heated underground at high pressure, it becomes hot enough to dissolve minerals in the surrounding rock. After the water bubbles to the surface, it cools. The minerals in the water become solid again and form terraced deposits at the water’s edge. Vents called fumaroles release steam that smells like rotten eggs. The smell is caused by sulfurous volcanic gases. Sometimes the hot water and gases cause rocks in the ground to melt and turn to clay. The clay bubbles and boils. Under the ocean, hot water rises from vents in the ocean floor. Minerals present in the hot water make it look like billowing clouds of black smoke, which is why these hot springs are known as black smokers. When heat and pressure build up under the ground, the pressure is finally too great and some of the water is released from the ground. When this happens, pressure is released and the water boils and turns to steam – creating a geyser. Geysers can erupt to 330 or more. Old Faithful in Wyoming typically remains around 130 feet. The Ute Indians named a hot springs “Yampah,” which means big medicine. They believed it was a holy healing site. Today, Yampah is the site of Glenwood Hot Springs, in Colorado – the largest hot springs pool in the world. This is a video demonstrating how a geyser works using a geyser model. Question: Are geysers and hot springs dangerous? Answer: The water and steam in them is very hot and can cause severe burns. Never step into a hot springs unless you know how warm the water is. Sometimes the land around hot springs or geysers becomes unstable. The soil just beneath the Earth turns to boiling mud. If you step in the wrong place, you may sink into this soil. Enjoyed the Earth Science for Kids all about Geysers and Hot Springs info? 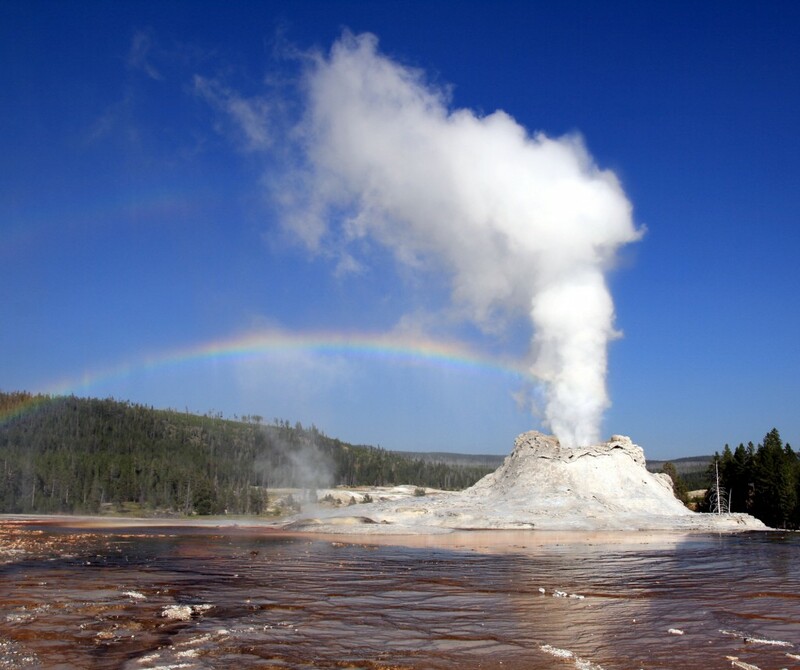 Take the FREE & fun all about Geysers and Hot Springs quiz and download FREE Geysers and Hot Springs worksheet for kids. For lengthy info click here and here. Declan, Tobin. " Geyser and Hot Spring Facts for Kids ." Easy Science for Kids, Apr 2019. Web. 26 Apr 2019. 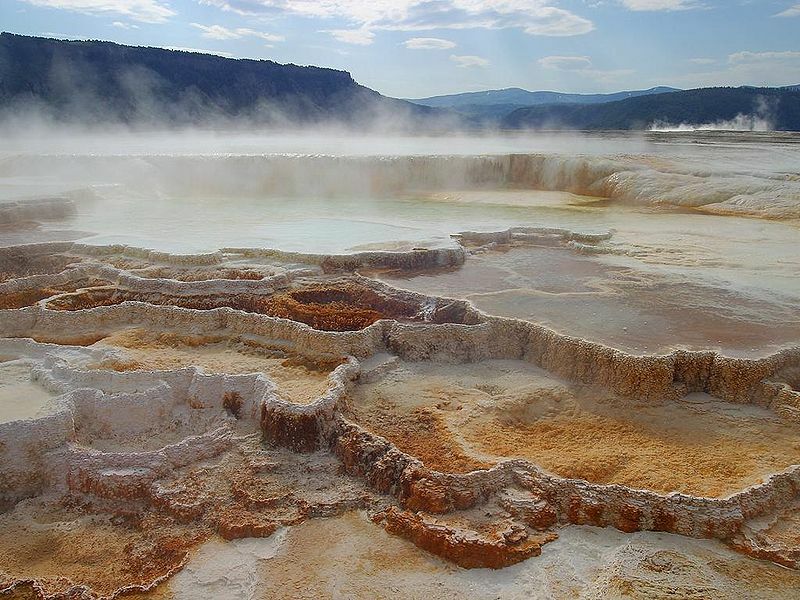 < https://easyscienceforkids.com/all-about-geysers-and-hot-springs/ >.